A classic example of a resort as opposed to a campground. Extremely clean, excellent staff, level concrete or gravel pads with lots of room. Beautiful pool and conveniently located to the express bus to downtown Montreal. Good wifi for a change but no cable TV :( Would stay again. Best campground we have ever stayed at in decades of travel! Trés beau camping! Service impeccable! Le personnel a l'accueil est très souriant et cordial! Nous y retourneront c'est certain!!! Best place to stay! This is an excellent campground, employees are vert helpful... 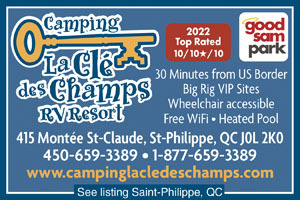 According to me, this is the best campground in Quebec. I Will be back next year for sure! This is a beautiful campground! There are many seasonals with large grassy & landscaped lots. The pass through sites are also nice sized, however they don't have much shade or privacy. 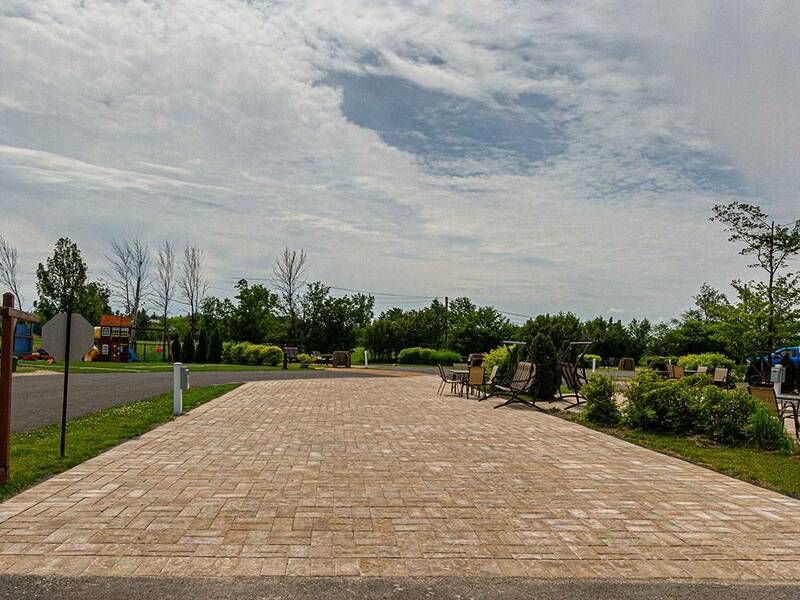 Our site had a gravel drive, a paver patio with a table and chairs a, three person glider chair and fireplace. The remainder of the site was grass. There is a pool and children's play area. The bathrooms are each bathroom/shower and clean and well maintained. This is definitely a campground that I would recommend to others!